Why shouldn’t we grow continuously? We are a set of interacting elements forming an integrated whole with relationships within ourselves and to other systems beyond ourselves. There is a structure and interconnectivity within our mental models that connect with our environment. The behavior we exhibit is unique to our personal system. We are open systems exchanging matter and energy with our surroundings. This is opposed to a closed system which exchanges energy but not matter and isolated systems which exchange neither matter nor energy with its environment. Although, some of our psychological states exhibit aspects of closed or isolated systems. Open systems are living systems needing a continuing flux of matter and energy from the environment. To retain this dynamic nature we maintain ourselves far from equilibrium so as to avoid stagnation. When we stagnate we stop being productive and success in achieving our aims is farther from our grasp. Thus, to foster this dynamic state we can continually challenge ourselves mentally, physically and spiritually. There are physical examples which serve as symbols of what we can do with our subtle bodies of spirit, thought and energy. Our skin is constantly shedding and being replaced by new skin underneath. The same holds true for our hair. We cut it off and it continues to grow. When we are young our parameters are constantly changing in a positive manner which lead us to believe we stop growing when our parameters stabilize as adults. It’s an illusion to think that we stop growing as adults. Our livers replace themselves in about a month and our entire skeletal system replenishes itself in an estimated seven years. 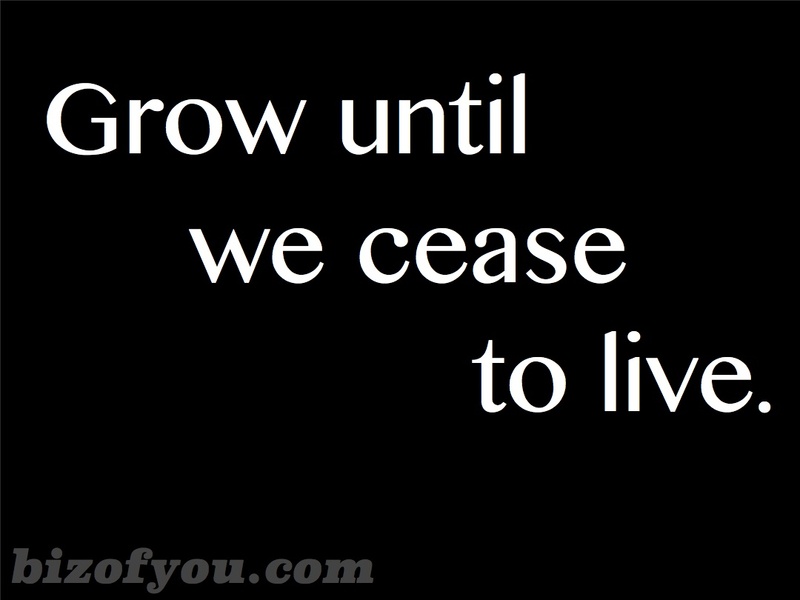 We grow until we cease to live. The same is true of our mental system. As living systems we grow until our passing.